For more than three decades, I didn’t spend much time in the company of women. I didn’t plan it, it just sort of worked out that way. My life mate/soul mate and I did most things together, including work — trying to build our business. He was also my best friend, the person I most wanted to be with. We had wide-ranging interests, and we talked about life, books, movies, history, philosophy, ideas. I knew some women, of course, but not well, and I never participated in any group activities. After his death, though, I got involved with many people. I joined a grief support group, and we had plenty to talk about — our deceased loved ones, our many losses (we lost not just the person, but the life we shared, our hopes, plans, and a feeling of “home”), our pain, our slow rewakening to life, and ourselves. It wasn’t until recently, when I started taking exercise classes and came in close regular contact with a group of women that I ended up in a situation I wasn’t prepared to deal with. Idle chitchat. Gossip. Talking about each other, especially about those who weren’t present. To be honest, we talk mostly about ourselves (though food is a strong second topic). The comments about others were quite remarkably sparse, perhaps because we spent most of our time togther concentrating on our movements. Talking about our families and absent friends was simply a way of passing inactive moments. But the truth is, even if I thought there was anything wrong with the remarks, I would not have walked away. I found such talk compelling. Intriguing. Connecting. Privileged. After coming to an accommodation with gossiping, I didn’t think anything more about it until a few days ago when one of the women called to let off steam about a reprimand she’d gotten that day, which she felt was uncalled for. Since I too was upset about something that happened in that class, we commiserated with each other at great length. I thought it was over and done with until today when she called to ask if I’d repeated a specific, totally innocuous remark she’d made during our commiseration. I hadn’t repeated her remark, but she was so upset, the call ended on a bad note. As a result, I am rethinking my position. I want to try to stay away from any remarks about others, which sort of leaves a void in the conversation. Most people after or even during exercise have no interest in deep discussions of important ideas or significant events, (not even me, though at other times I’m all for such discussions), but I’m used to being quiet, so it shouldn’t be too much of a problem. According to an article in Psychologies Magazine, Gossip builds social bonds because shared dislikes create stronger bonds than shared positives. Two people who don’t know each other will feel closer if they share something mean about a third person than if they say nice things about them. It’s a way of demonstrating their shared values and sense of humour. Add to that the thrill of transgression, since we’re supposed to be nice and positive. Anthropologist Robin Dunbar has suggested that gossip is a vital evolutionary factor in the development of our brains; language came about because of the need to spread gossip, and not the other way round. Other studies show that gossip is a way of defining group behavior and keeping the group intact, which is a survival skill left from our tribal days. Even today, talking about what others have done is a way of defining group values. If you talk about someone who disrupted a class or who slacked off at work, it’s an object lesson, showing the rest of the group what actions are acceptable. (Do what the teacher says, don’t play around in class, make sure you shoulder your share of the burden.) Talking also helps prevent problems from getting out of hand by letting members of the group vent their frustrations with other members. 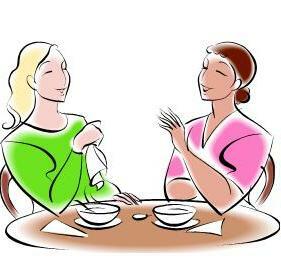 Whether gossip has a healthy role or merely a destructive one, we are infinitely fascinated by other human beings, and gossip tells us not only about the gossipee but also the gossiper. What a fabulous insight into the taboo subject of gossiping. It is something we all do, even if we won’t admit it! Thank you. Gossip is so common, I never would have bothered researching the subject if it weren’t for that one odd phone call. if you are doing it maliciously then it is bad but if you are just commenting about some one I don’t think it is bad! What an interesting topic du jour! I’m in the camp of those who dislike gossip because most times, as one definition states, “Gossipers often have the goal of building themselves up by making others look bad and exalting themselves as some kind of bearers of knowledge.” Even when there is no malicious intent, “Gossip is idle talk or rumor, especially about personal or private affairs of others,” and I don’t think it’s my business to share details of other people’s private lives. I take the biblical definition a gossip to heart (“one who goes about as a talebearer or scandal-monger”), and am with Bambi’s mother (or was it one of his chums?) who said, “If you can’t say nothin’ good, don’t say nothin’ at all.” There’s a lot less hurt feelings that way. I don’t repeat anything private someone told me, at least, not knowingly. Sometimes what I think is common knowledge or for public consumption, the other person feels is private, so I’m trying not to say anything about anyone, even if it’s good. Sure does make for a lot of silence, though, considering that 60% of conversations are about other people.